In Japan the summer season usually is from June to Mid-September, and it will be around 30-35 degrees plus with very high humidity. Each part of Japan, across all the prefectures, will have its own local summer dishes. For example the most southern prefecture Okinawa has distinctive dishes with bitter melon and Hokkaido has sweet melons. Although summer season in Japan is hot and humid, those amazing seasonal foods will definitely boost your appetite. You can try not only typical summer ice-creams but also a variety of traditional festival foods and local dishes. Soft Cream (Soft Serve Ice Cream) is one of the most popular summer foods during the hottest part of the season. In Japan this is called Sofuto and it is creamy and sweet. You can find a variety of limited edition flavours from different places around the country. 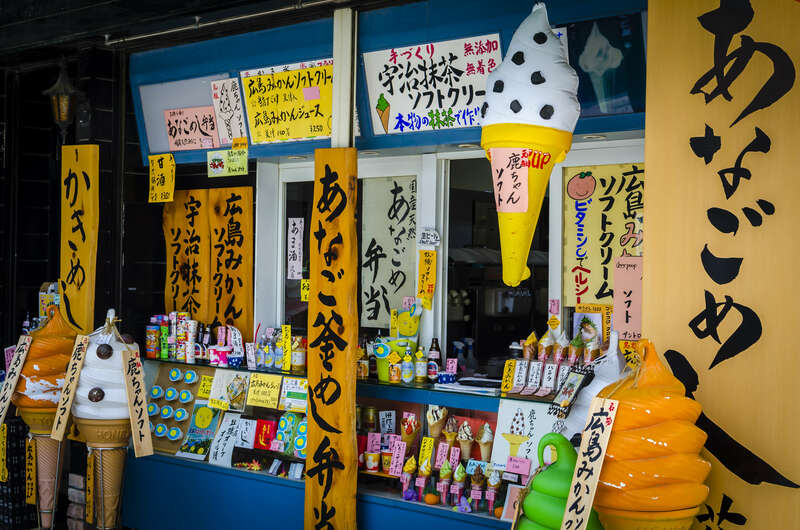 In Yubari, Hokkaido you can taste the local melon flavour; in Hakone, you can try the popular wasabi sofuto and you can find sweet potato flavour at Asakusa. If you like to experiment with different tastes, don’t miss out this colourful and cooling summer treat during your trip. 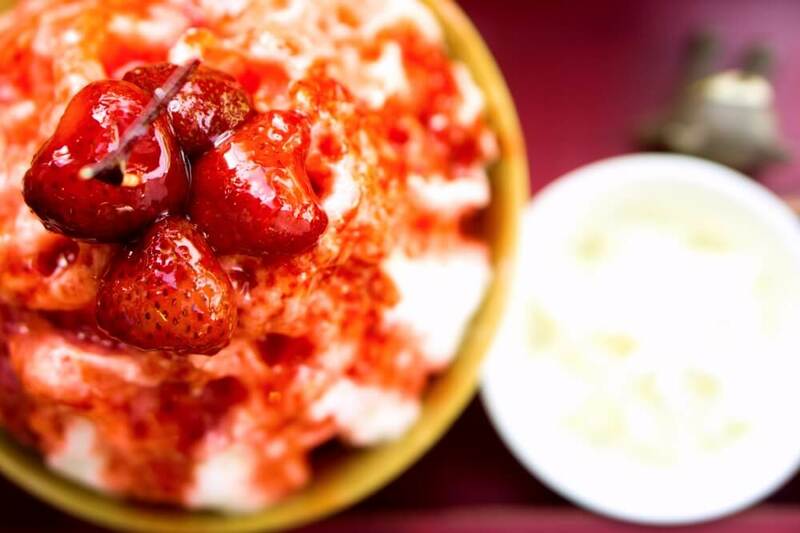 Kakigori – is made with a special machine that can shave ice into a very frozen “ice mountain”, then the ice is topped with different fruit flavours, often fresh fruits and sweet red bean as well as condensed milk. During summer in Japan, there are lots of special matsuri, (festivals.) The cold and crunchy taste of Kakigori will make your Matsuri experience even better during this kind of humid sticky weather. It is the perfect cool-down desert. The most popular flavour is strawberry topping with sweet milk. Kakigori will definitely cool you down in the extremely hot weather around Japan. Goya (Bitter Melon) has a strong taste. 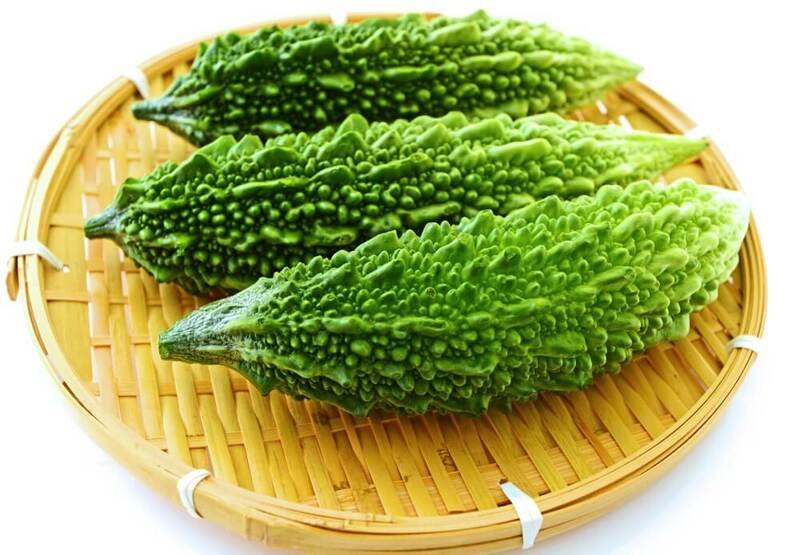 In each part of the bitter melon, the level of bitterness will be different. You can taste dishes that made with goya all around Japan. However, the most popular goya growing prefecture is Okinawa. One of the traditional dishes is a stir fry with eggs and ham. The bitter taste of Goya can help you cool down. 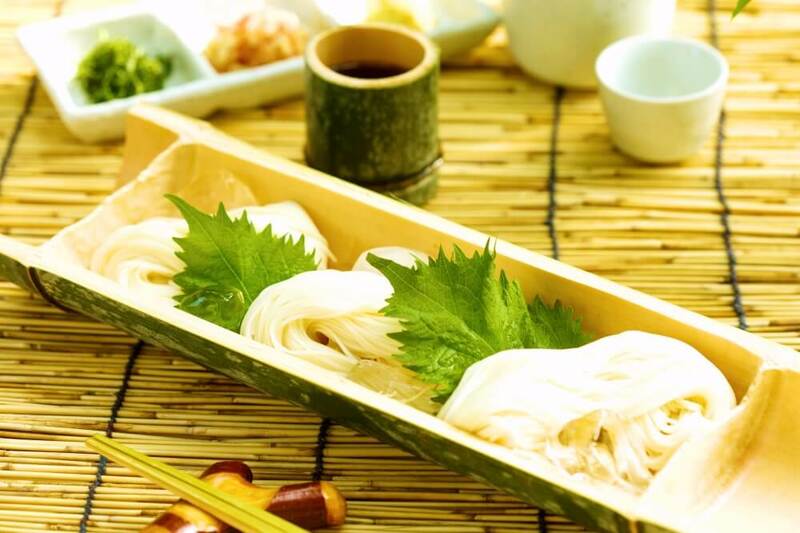 Eating Nagashi Somen Noodles is a very traditional family activity during the summer season. Some restaurants will make a special event for guests to try this unique style of eating. The noodles will be placed on a half cut bamboo pipe flowing with clear ice water. You need to catch the noodles using chopsticks and dip them into a special sauce made for Somen. You can enjoy the peaceful Japanese-style garden and experience this special activity. 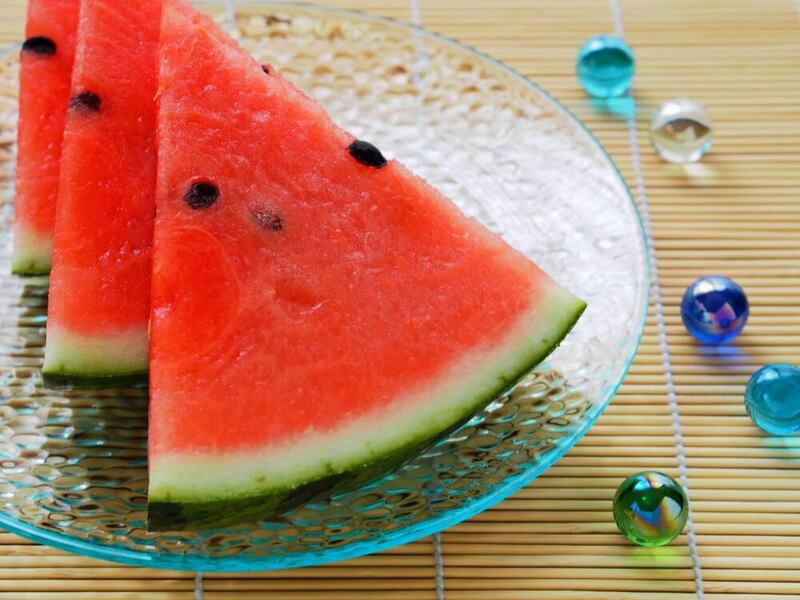 Suika (watermelon), is a juicy sweet fruit so definitely a good summer sweet for helping you feel refreshed during the day. In Japan, during summer, you can always see Suika been as a desert or side dish in restaurants. There is even a popular party / BBQ game where a blindfolded player tries to crack open the watermelon with a special stick — very like a Piñata in Mexico. Explore the flavors of the season with us with us — during your travels in Japan. Check out our tours in Tokyo, Kyoto and Osaka.